All About Our Crazy Life: What's In My Cup? Today's blog prompt is - whats in your cup? Well for me it is nearly always white tea with one sugar. Nerada tea is my poison and lite milk. For years I always drank out of thick mugs, but over the last few years I have gotten a wee bit fussy and like to drink out of bone china mugs. Some of my earliest memories are sitting at my Nana's table with a cup of tea in one hand and a book in the other. Nana was very fussy, always a pot of tea, a bone china mug and extremely weak black tea. I remember always thinking what difference could a cup make? Now I know. 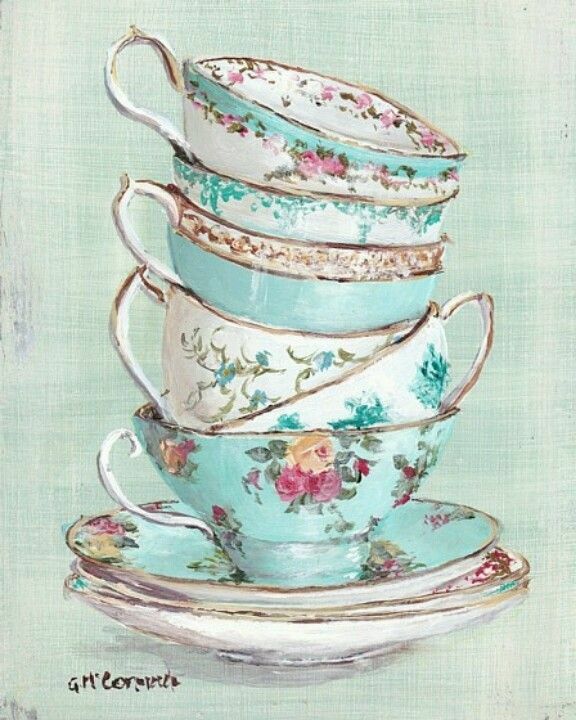 Since moving to the mountains I have joined a craft group and we always include afternoon tea with our crafting and it is served in beautiful tea sets which were wedding gifts or passed down from family members. Now, I have nothing like that so I have started my own collection. I like my large pink mug in the morning because it is a big cup of tea. Then I use medium sized mugs for the rest of the day. When I host craft group, out comes the cups and saucers. Did I mention I am fussy? Lol! When I am out and about I drink either a latte or chai latte. So, thats whats in my cup, whats in yours? I'm a coffee girl myself. But I have to admit that a cup of tea sounds very satisfying.